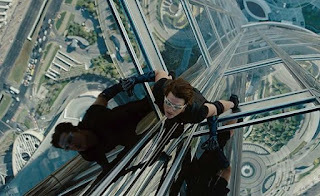 Five years after Mission: Impossible III and fifteen after the original, came Mission: Impossible – Ghost Protocol. The fourth film in the franchise is the best and not many franchises can say that. The movie is a thrilling and awe-inspiring ride, making it one of the better action films of the last five years. The storyline revolves around Ethan Hunt (Tom Cruise) and his team, Benji Dunn (Simon Pegg), Jane (Paula Patton) and Brandt (Jeremy Renner) have to get stolen nuclear codes back after the Kremlin is attacked and the IMF is blamed. The team must go out on their own to stop Hendricks (Michael Nyqvist), a man who seeks to start a nuclear war, to clear IMF of any charges. The development of the characters is well thought out from a script standpoint. The writers, JoshApplebaum and Andre Nemec, slowly and intelligently, making the anticipation for the next adventure that much higher, not only because of the sheer scope, but because these characters are so interesting. But what a spectacle it is. The scene on the building in Dubai is worth watching the movie alone. It’s a showstopper on it’s own merits, but when combined with the ensuing chase through a sandstorm, becomes even more stunning. Even after all the stunts through the previous three films, Cruise still manages to up the ante. 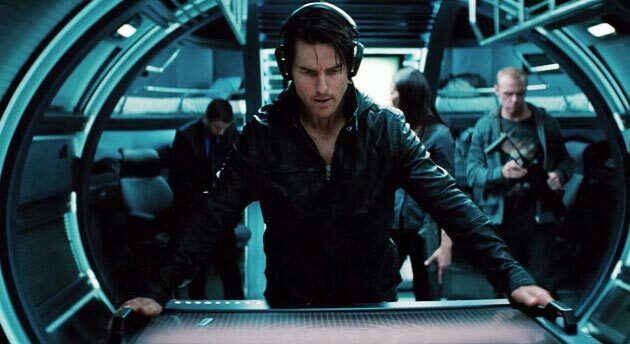 Speaking of Cruise, he once again nails the role of Ethan Hunt. Even after playing the character for three films and fifteen years, he manages to deliver another physical performance, maintaining the cool hero aspect of previous films. Director Brad Bird has his live action directorial debut to tremendous results. Making the leap from animation seemed like a pretty natural fit, bringing his skills from directing Pixar classics with him. All the skills were there with his eye for camera movements and action beats to produce an excellent Mission: Impossible film. Luckily for everyone he delivered and even surpassed expectations with Ghost Protocol.